The dust is settling after the Winter Games. We did think of reflecting on the Canadian performances in x-c skiing, but our thoughts evaporated… like xenon. There is no point commenting on athletes who do not compete on a level playing field. So instead, we would like to share our favorite story about those Games. There are tons of great stories during Olympic Games, but for us, this one tops them all. Colleague Jean-François Poirier is an ace reporter with Radio-Canada Sports. Jean-François has been covering the Canadian women’s Olympic hockey team since Vancouver in 2010. 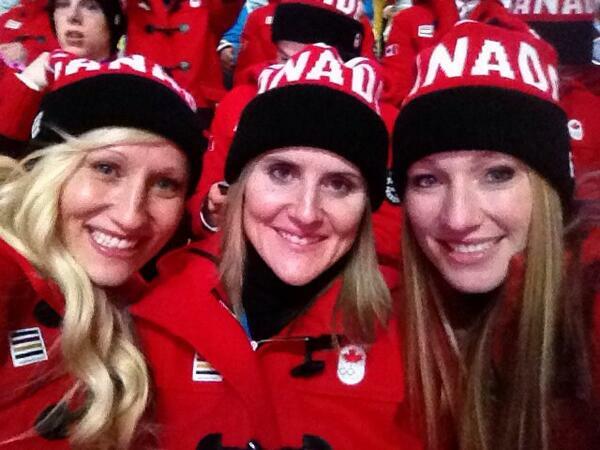 You are about to read in detail how this journalist ended up being involved in an amazing inspirational story, one that involves the flag bearers at the closing ceremonies, Kaillie Humphries and Heather Moyse.